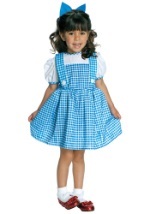 This toddler witch costume is inspired by the classic movie The Wizard of Oz! 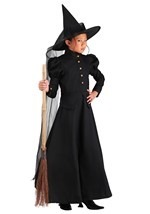 It includes a black witch hat that features a green, sequin ribbon around the front portion of the crown. The ribbon matches the black dress' attached vest and belt. The belt has a silver buckle lined with black netting. 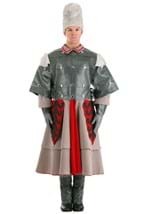 The netting is also used for the long sleeves and green netting creates petals on the skirt (please note the petals do not feature bows as pictured). 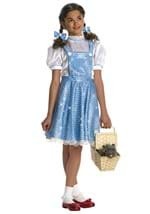 The entire costume is trimmed in silver and "Oz" is written on the chest with an image of the witch as well as a green flying monkey printed on the bottom of the skirt. 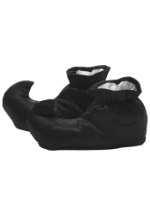 Add our kids Mary Jane Shoes for the perfect Halloween look!